The current work reports the fabrication of p-CuO/n-ZnO heterojunction grown on n-Silicon (100) substrate by varying the growth time of ZnO nanowires. The p-CuO thin film has been grown by vapor-liquid-solid (VLS) technique and the n-ZnO nanowires by employing chemical bath deposition (CBD) method. 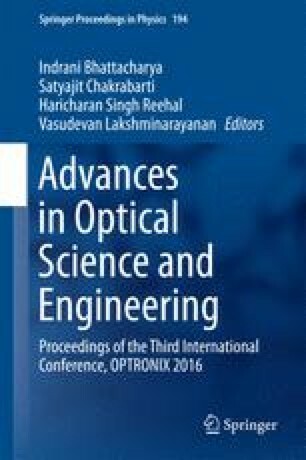 The surface morphology, crystalline structure and optoelectronic properties of the heterojunction are investigated by employing SEM, XRD and spectroscopic ellipsometry respectively. The ZnO NWs grown for 40 min on the CuO film, indicates best performance in terms of crystal quality, band gap, refractive index and solar performance parameters like short circuit current density, open circuit voltage and efficiency. Ms. S. Paul likes to thank the University Grants Commission (UGC), India, for providing National Fellowship to pursue her research work. The authors also like to acknowledge Center for Research in Nanoscience and Nanotechnology (C.U. ), COE, TEQIP Phase-II and Department of Electronic Science (C.U) for providing necessary infrastructure to conduct this work.